In my opinion, one of the worst buzz kills in fishing is to catch what might be your personal best, only to realize you don't have a scale to verify the weight. A few years ago, I caught what I thought was a 10-pounder, which would have been my first double-digit bass, but I didn't even own a scale. I took some photos and released the fish, but I'll never stop wondering whether or not it was a legit double-digit catch. I don't feel right claiming it because I wasn't 100 percent sure. That single catch served as a catalyst of sorts, because I will not go fishing anymore without a scale in my boat or in my truck. With that being said, I've been testing a new scale recently and I think a lot of anglers will really like it. 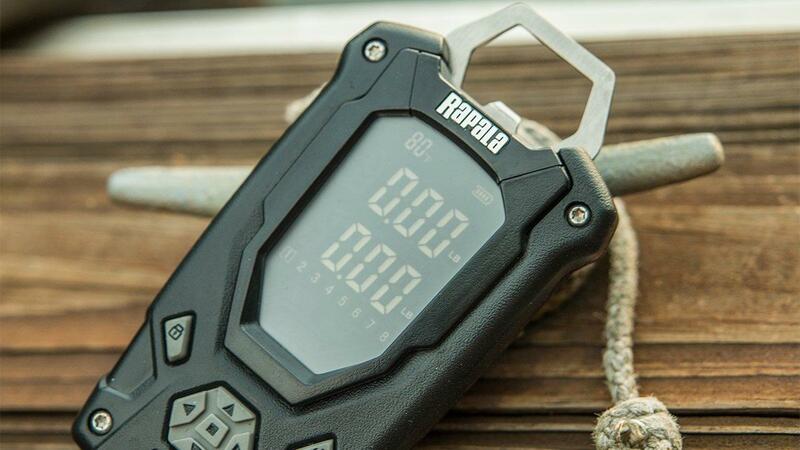 It's the Rapala High Contrast Digital Scale and it's a great, compact and affordable option that will keep you prepared at all times. I'll quickly take you through my thoughts on it. I believe that a scale is only as good as its clip. I don't want to put any unnecessary stress on the fish while weighing them, so I'm always looking for a solid and well-designed clip that keeps fish buttoned up throughout the entire weighing process. 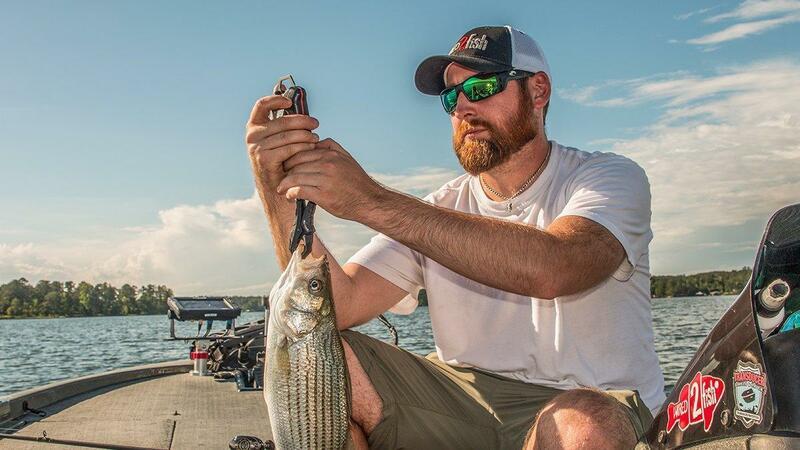 To test this, I purposely caught some hybrid striped bass because they're incredibly difficult to keep still once they're in the boat. I needed to see if the clip would safely weigh fish, so what better way than to experiment with the biggest spazz in fresh water? I have been incredibly impressed by this clip. 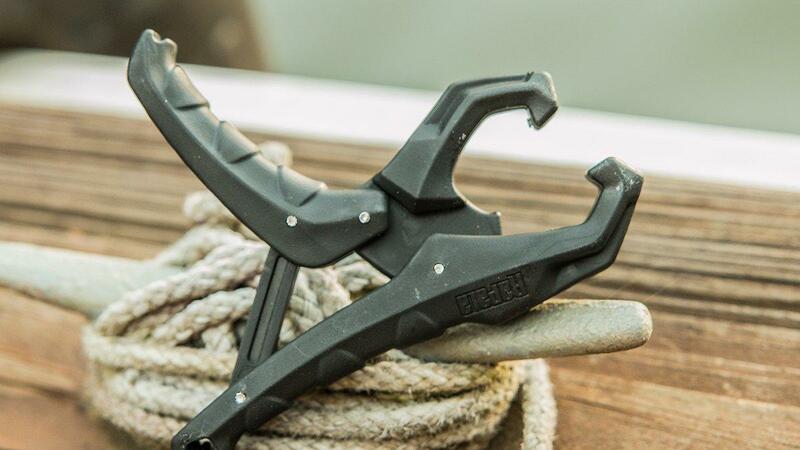 You have to manually open and close it (kind of like the Major League Fishing clips), which can be a bit cumbersome at first, but you'll get the hang of it quickly. These hybrids were shaking and wiggling all over the place and I have not had a single fish fall off of the clip. 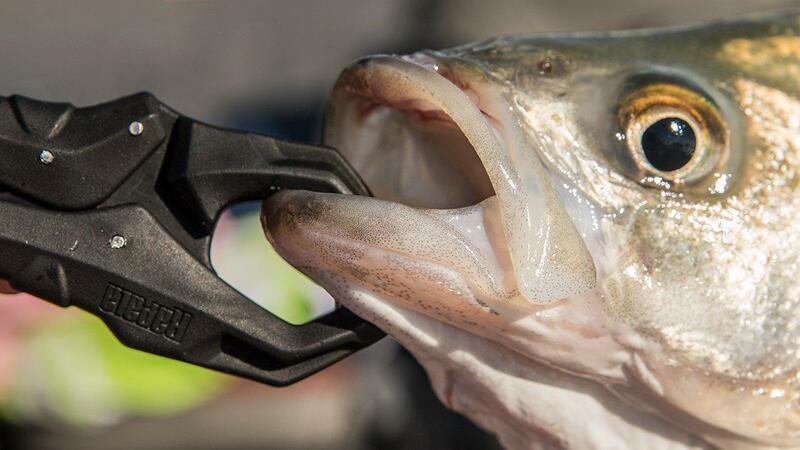 Once you clamp this clip onto the fish, you they're not going anywhere. I think this is going to be a great feature for tournament anglers. One of my tournament partners actually bounced a fish off of an old spring-loaded clip and it fell back into the water, which hurt our overall weight. I certainly don't see that being a problem with the Rapala High Contrast Digital Scale. When I'm testing fish scales, I'm also looking for ease of use. If I have to press a bunch of buttons and keep the fish out of the water for too long, I don't want anything to do with it. Throughout my testing of this particular scale, I've learned that it's quite intuitive, especially for such a compact size. It features a directional pad that gives you several easy-to-access options such as selecting different increments, taring, displaying your minimum and maximum weight and learning the total weight of your limit. If you've used the original Rapala Tournament Scale, it gives you the same features, but in a more streamlined package. If you're fishing a tournament and you catch your sixth fish, you can grab your High Contrast Digital Scale and quickly scroll through your catches to reveal your minimum weight, which allows you to cull your catch in just a few seconds. In my opinion, this is a much more efficient and fish-friendly way to cull compared to the old-school balance beam technique. I know that sounds a little odd, but I think it's a pretty cool feature for the modern-day angler. If you ever post a big-fish photo to social media while claiming its weight without a photo of the actual scale, you're going to get hammered by people claiming it weighs less. Lovely, isn't it? It's just the world we live in these days. This high-contast display, however, photographs very well. If you want to shut the doubters out and take a quick cell phone picture of a fish's weight, this scale allows you to do so. Regardless of sun positioning or light conditions, you'll get a crisp photo every time. I have several digital scales and most of them can get pretty difficult to read when you're fishing in sunny, bluebird conditions. I can't tell you how many times I've had to stick the scale under the console of my boat or take my polarized Costas off to see my weights. This scale, however, is easy to read no matter the conditions, whether you're wearing your sunglasses or not. 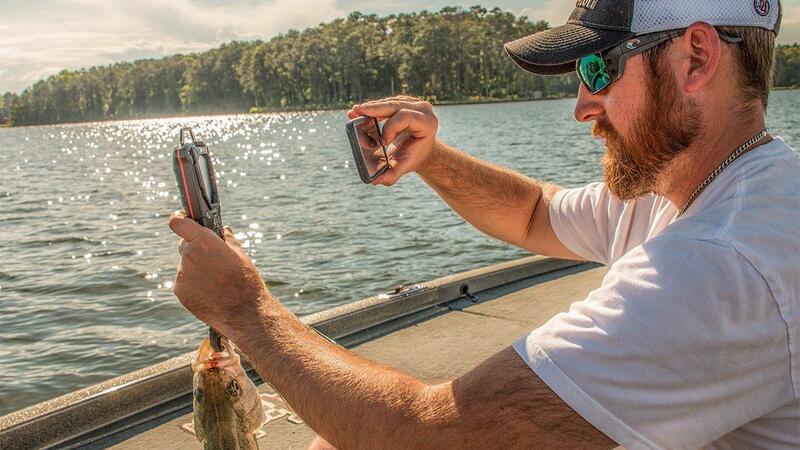 You won't have to worry about blocking the sunlight or holding your hat over the display screen; you can quickly weigh and cull your fish and get back to fishing. If you're looking for an easy-to-use scale that won't take up a bunch of room in your boat, truck or even your back pocket, I'd definitely recommend looking into the Rapala High Contrast Digital Scale. It's priced at $39.99, so it won't cost you an arm and a leg and your weight readings will be right on the money. The Rapala High Contrast Digital Scale is available at TackleWarehouse.com.